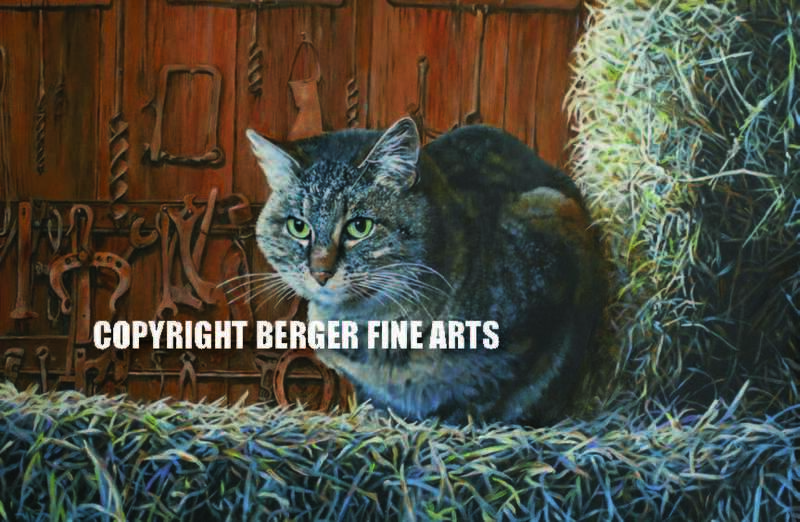 This painting features a Tabby cat watching the goings on in the barn. This is part of the new "Farm Series". Each print is signed and ready to frame. 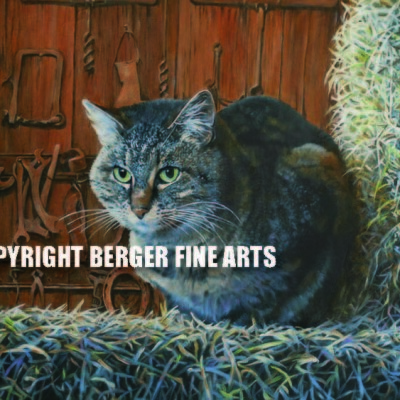 Watch the video of this painting being created from concept sketch to finish product in the video section.